ACL stands for the anterior cruciate ligament which is found in your knee joint. It is quite easy and common for this ligament to become damaged and tear, there is an increased risk of this in sports and physical activities that require the person to quickly turn and change direction, another possible cause is if a person jumps but lands on a bent knees and then quickly twisting or another possible cause is when somebody jumps and lands on an extended knee. In sports like rugby incidents of ACL knee injury’s is very common as collision with the knee can cause damage and tears and even simply avoiding over player can cause sudden twists and changes in direction and like I said before this is a very likely cause of ACL knee injuries. Knee braces are a very good way of treating ACL knee injuries, however in some cases this cannot be enough and surgery is needed to reconstruct the ligament and help improve mobility back into the knee, untreated ACL knee injuries can cause knee arthritis. These are just a few symptoms of an ACL knee injury if you believe that you are suffering from this or any other kind of knee injury it is advised to go see your doctor for diagnosis. Tennis elbow is one of the main causes of elbow pain. So what exactly causes tennis elbow? Tennis elbow has been linked to extended time periods of gripping activities and is common amongst tennis players as they grip their racket hard for long periods of time. The pain is most prominent down the sufferers forearm; a way to detect tennis elbow is to straighten the arm whilst you move your hand back towards your wrist. If you suffer from serious tennis elbow a doctor may prescribe some anti-inflammatory drugs the doctor will also advise you to have a rest from any sports which may cause further aggravation to the condition. Compression straps are often used by people who suffer from tennis elbow these straps allow the sufferer to live a more active lifestyle whilst recovering from tennis elbow and help to support the elbow increasing recovery time and even reduce pain and symptoms associated with tennis elbow. You can also aid the recovery from tennis elbow by using exercises to help re-strengthen the muscles around the elbow. Most people do make a full recovery after suffering from tennis elbow. Plantar fasciitis is a common inflammation problem of the plantar fascia in runners but can even afflict non-runners too. (The plantar fascia is a fibrous tissue which spans the length of the sole of your foot which supports the arch of the foot). Inflammation of the plantar fascia usually will be found around where the plantar fascia is attached to your heel bone. 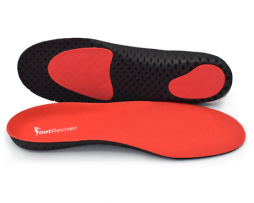 The symptoms of plantar fasciitis will often include heel, foot pain and heel spurs. 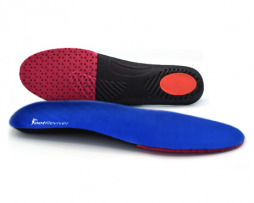 The pain which plantar fasciitis causes often will be most painful around the inside of your heel but the pain can also be found on the sole of your foot too. Plantar fasciitis is mainly an inflammation problem pain is at its worst during activity, but also people suffering with plantar fasciitis will also suffer from pain in the mornings too as a result of not moving. (Confusing I know but this is due to the state of the plantar fascia after you have slept all night not using your foot and when you take your first steps the plantar fascia will be tenderer). Preventing plantar fasciitis is more simple and easy than you may think there are really lots of steps (mind the pun) that you can take to help prevent yourself from getting this problem. Including stretching your feet properly before exercise, this is very important as not stretching properly will mean an increased risk, many runners will tend to stretch all there other parts of their body but will often forget their feet. 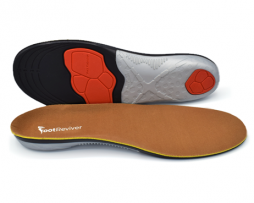 Apart from stretching properly there is something else that is just if not more important and that is wearing the right footwear and insoles. 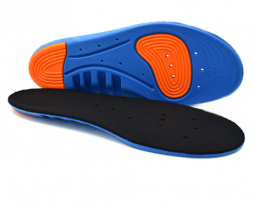 Whilst running your shoes most give you the right support after all running creates a huge amount of pressure and strain on the plantar fascia and foot and so it is very important to have extra support. Tight and ill-fitting footwear can cause an increased risk of inflammation on the plantar fascia and other tissues which should be avoided. 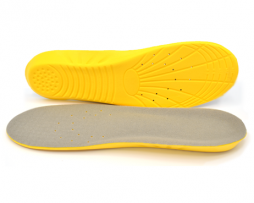 Excessive pronation can be another cause of plantar fasciitis as this causes more stress than there really should be to combat this you can buy arch support plantar fasciitis insoles to help reduce this over pronation and reduce the stress on the plantar fascia too. With treatment for plantar fasciitis – 95% of all people who get this condition will make a full recovery. 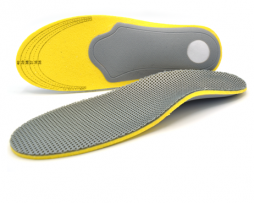 There are some treatments that you can try including physiotherapy, anti-inflammatory drugs or by letting your plantar fascia naturally recover with the help of plantar fasciitis insoles that help support the arch and plantar fascia so when you walk you do not aggravate and inflame the plantar fascia again when you put weight on your foot. For further information about this condition or other conditions please read through our blog.